Nominated for a Helpmann Award this week for Giselle, Eastoe shows no sign of her impending retirement as she performs with boundless energy and exquisite agility. The consummate actress, Eastoe’s incredibly integrated performance completely blurs the lines between acting and dance. Her storytelling skills are so refined that the action just appears to be unfolding spontaneously. Eastoe’s Cinderella is a modest, kindhearted pacifist who cannot bear to see her stepsisters fight and who beams even while doing household chores. Arriving at the ball, Cinderella looks around in awe, humbled to be in such regal, glamorous company. When Cinderella first dances with Prince, Eastoe begins by conveying Cinderella’s disbelief that he would even look her way, let alone dance with her. After a brief panic about the time, Cinderella relaxes in the knowledge that midnight is a good way off and starts to enjoy herself, relaxing more and more in the Prince’s arms. Initially terribly shy when the Prince suggests she show the guests a dance step or two, she warms into it, soon beaming with delight. After such shared joy, the crushing disappointment of her loss after midnight is particularly affecting. 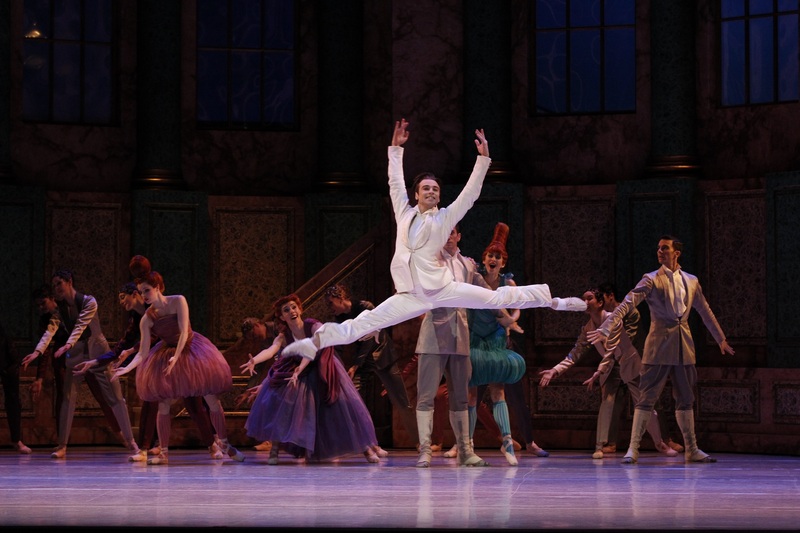 Daniel Gaudiello, who danced The Prince in the 2013 premiere, retains a wondrous vitality in the role. Gaudiello makes a supremely confident entrance, certainly looking (as mentioned in the program notes) as though he just stepped out of a Ferrari. Gaudiello’s arrogant Prince looks at the women of court with boredom, even disdain. He can’t get away from the tiresome Stepfamily fast enough. Initially struck by Cinderella as a fresh beauty, he is clearly won over by her grace and modesty to develop genuine feelings. 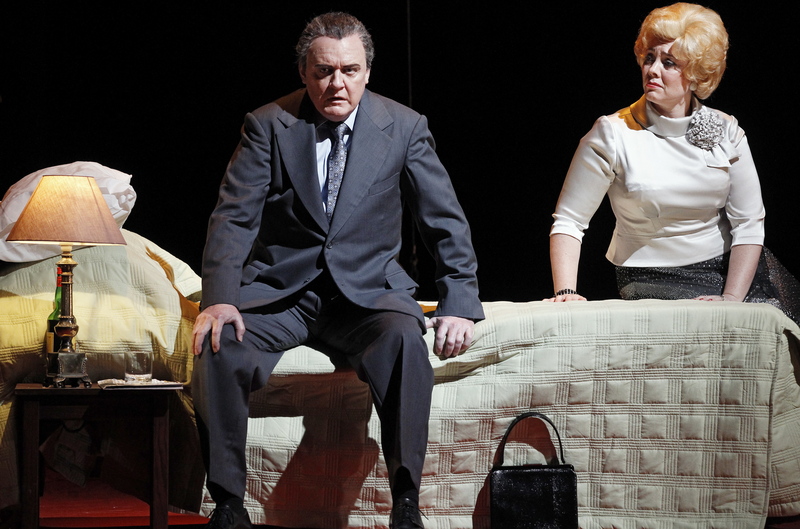 Gaudiello changes The Prince’s entire body language, leaping ever higher as the character is reinvigorated by the prospect a tantalising love. Dancing an ever-widening circle of jetés, he spreads out the crowd to make room for the future Princess. Eastoe and Gaudiello’s portrayal of the development of love is so much more powerful than the simplistic cliché of love at first sight. The pair conveys their absolute wonder at finding each other again at the finale, performing the final pas de deux as a dreamlike fantasia of joyous love. The magnetic Gaudiello is also compelling to watch as The Prince searches the globe for his lost love. Willowy beauty Amanda McGuigan plays Cinderella’s Stepmother as an imperious but not overly nasty parent. Natasha Kusen plays Skinny Stepsister as a haughty, vain creature. The competitive Skinny is seen as the one who begins the bickering with her sister. Skinny appears loath to dance a few solo steps at the ball, but manages to strut out a few steps. Jill Ogai portrays Dumpy Stepsister as a cheeky giggling airhead who is overly excited about attending the ball. Dumpy enjoys her solo dance at the ball, remembering the steps she has been taught in her own muddle-headed way. In act three, Ogai has another nice moment, as Dumpy is sweet to Cinderella before reverting to form when Skinny enters the room. Kusen and Ogai are particularly confident and comfortable with Ratmansky’s choreography, performing with precision but with a relaxed pleasure that is even more of a joy to watch. 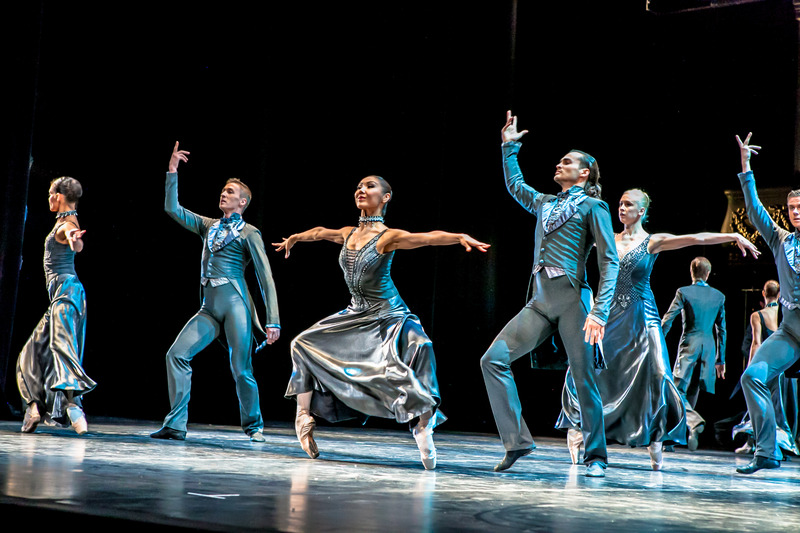 There is an overall feeling that the entire company, upon revisiting the piece so soon after its premiere, inhabits the magical piece with a true sense of enjoyment, allowing their flair and artistry to be seen in the best possible light. 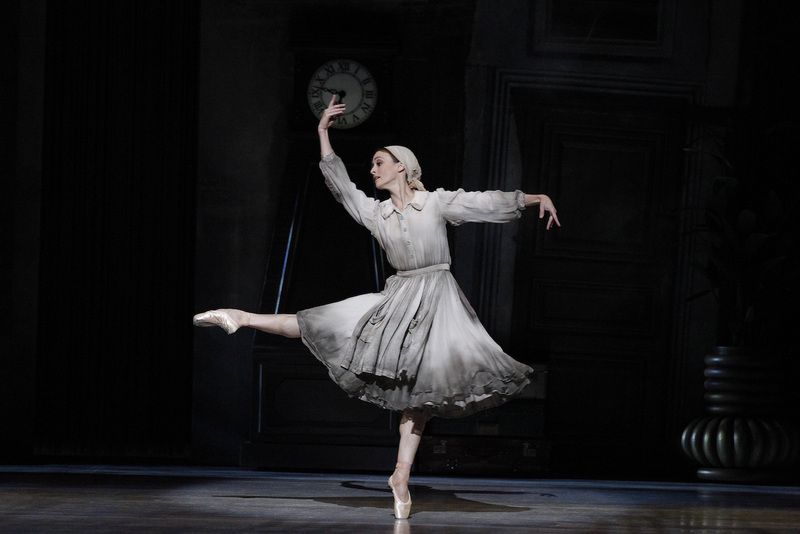 Alexei Ratmansky’s Cinderella plays at State Theatre, Arts Centre Melbourne until 27 June 2015. There is some lovely humour in this production of Cinderella. I am yet to see Robyn Hendricks as Cinderella – hope to see her in more lead roles next year..